Nationally-known fashion designer Nina McLemore opened her upscale boutique in Chevy Chase, Md. last night for a reception to benefit homeless women living at Calvary Women’s Services. 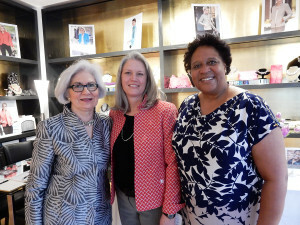 McLemore voiced her support of Calvary’s programs and offered style consultations to guests. McLemore’s clothing is designed for executive and professional women. Some of McLemore’s highest profile customers include former Secretary of State and presidential candidate Hillary Clinton, Federal Reserve Chairwoman Janet Yellen, Senator Elizabeth Warren and Gwen Ifill, co-anchor and co-editor of PBS NewsHour. The fundraising and networking reception was organized as part of Calvary’s Women Empowering Women campaign. Women Empowering Women engages women from all walks of life and provides meaningful opportunities for them to leverage their passions, skills and financial resources to empower women who are homeless. 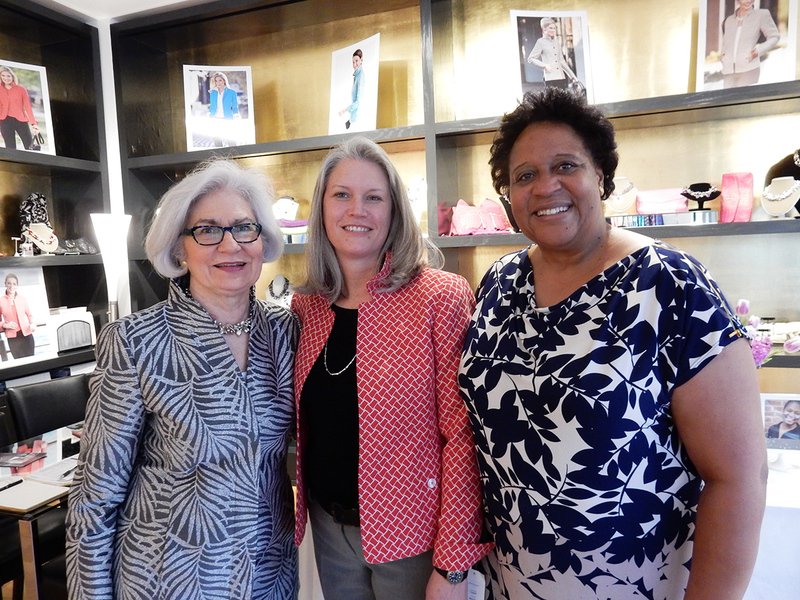 Through March 20, customers who shop at the Nina McLemore boutique in Chevy Chase can designate 15 percent of their purchase to be donated to Calvary.